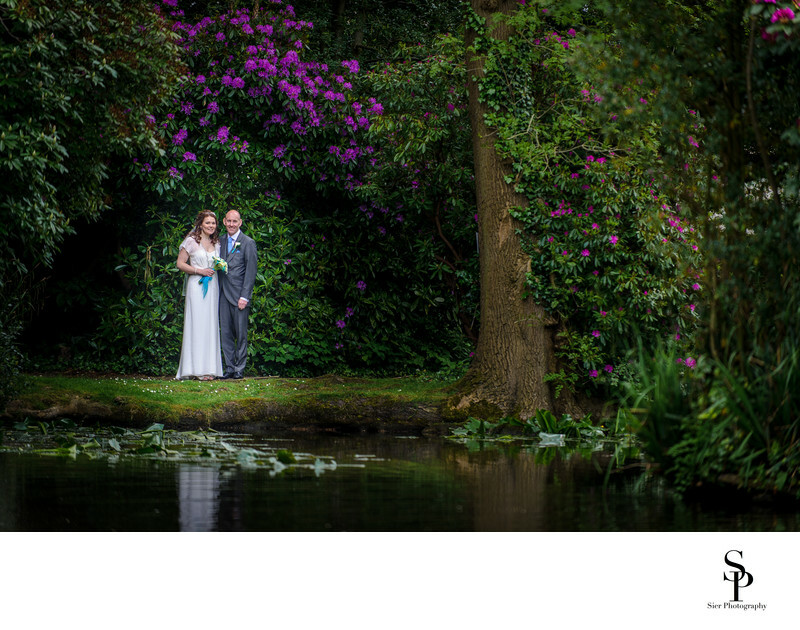 No Kenwood Hall Hotel wedding would be complete without a wedding photograph taken by the lake in the hotel grounds. This is an amazing feature of this superb Sheffield suburban Wedding venue along with many other wonderful features of this special wedding venue. The flowers and foliage look spectacular at almost any time of year with each season bringing something a little different to the grounds and to the photography undertaken here. There are some magnificent grounds here stretching to over 12 acres allowing plenty of room to roam around, certainly one of the best venues anywhere and an amazing place for wedding photographs. We love working at this venue and have had many happy hours photographing the weddings of some wonderful couples. The inside of the venue features some wonderful rooms in which to get married, eat the wedding breakfast, undertake your first dance together with your family and friends in support all while we buzz around and take photographs, though not of you eating of course! We will work right through from your bridal preparations to your first dance and capture all the special moments and many more besides, these will be a complete record of your day from start to finish to treasure together fore ever. 1/320; f/2.8; ISO 200; 200.0 mm.